Stay current with cutting-edge information from the leading feline experts! 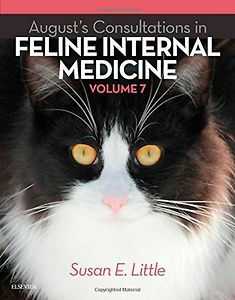 August's Consultations in Feline Internal Medicine, Volume 7 takes the popularCurrent Therapyapproach to the latest issues, advances, and therapies in feline care. The 103 new chapters are organized by body systems, making information easy to access, and include more than 800 new detailed photographs, diagrams, and MRIand ultrasound images. Discussions of scientific findings always emphasize clinical relevance and practical application. This edition addresses new topics ranging from feline obesity and food allergies to respiratory mycoplasmal infections. 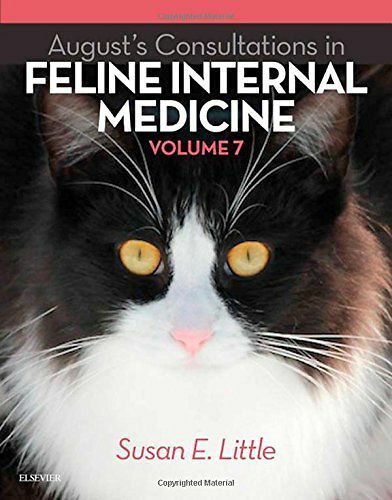 From feline expert Susan Little, with chapters written by more than 130 international specialists, this practical resource will be an invaluable addition to every small animal clinician's library.